Hiking and backpacking are a blast, but when you are looking for some fun in the sun, outdoor concerts are no doubt a perfect option - good tunes and a brew in your hand. Just like any vacation, planning in advance will provide some great seats and a guaranteed entrance to a possibly sold out gig. If you live by a popular amphitheater you know the drill! People come from all over the country to see a great band at a beautiful location. Something about your favorite tunes while by the beach or looking over the mountains just adds to the experience. Check out some of these bucket list concert halls for your next dance party. Come for a concert, stay for the endless (literally endless) number of breweries and good times. A top hit, Red Rocks Amphitheater has weekly sold out concerts from April – October. The natural venue is surrounded by gigantic boulders that shape the seating area and provide amazing acoustics. Arrive a day or two early to adjust to the astounding 6,400 feet of elevation this area sits at. Drink plenty of fluids (water, not the tasty adult kind) to make sure your body has time to adjust if you are coming from a lower elevation. Skip the medical tent and take the stairs slowly, they may seem endless! Some big names coming to town in 2018 include Khalid, The Disco Biscuits, Lettuce, The Avett Brothers, Sylvan Esso, Umphrey’s McGee and Greensky Bluegrass. Rags to riches, the Shoreline Amphitheater in California was literally a landfill before Bill Graham constructed this venue in 1986. Taking up the space of two football fields, music goers have plenty of room to frolic and spread out to enjoy the tunes. California is the perfect place to enjoy an outdoor show and the venue has not had a problem snagging big acts such as Coldplay and the Dave Matthews Band. The area is also perfect for summertime symphonies and orchestras. The line-up this year includes Kesha & Macklemore, Lynyrd Skynyrd, and 30 Seconds to Mars. Head up north for some jammy good times at the Alpine Valley Music Theatre. Just outside of Milwaukee take a weekend to explore the city and maybe even find a fun cheese hat to dance in! Ever since the Grateful Dead started playing here in the Eighties this venue has been a hit, even after the tragic mud apocalypse of 1989. The grounds turned into what one local critic called "a muck-filled slip 'n' slide", but what venue hasn’t had it’s ups and downs!? Save some room before the show to try some of the local food trucks that flock the area and some local brews to go with! The 2018 line-up includes the Zac Brown Band, Dead & Company, and plenty more on the way! Looking for a side of scenic action to go with your lawn seats? The Gorge Amphitheater is a 27,500-seat outdoor concert venue near the Columbia River in George, Washington with epic views surrounding the venue. Renowned as being one of the most scenic concert locations in the world offering spectacular river gorge views with a beautiful lawn to sprawl out on. This is a don’t miss hot spot that will have you out trail blazing and enjoying the views before or after the concert. Some names heading to town in 2018 include Phish, the Dave Matthews Band, and Journey & Def Leppard. Check out the Okanogan-Wanatchee National Forest in some free time, which is just east of the venue. 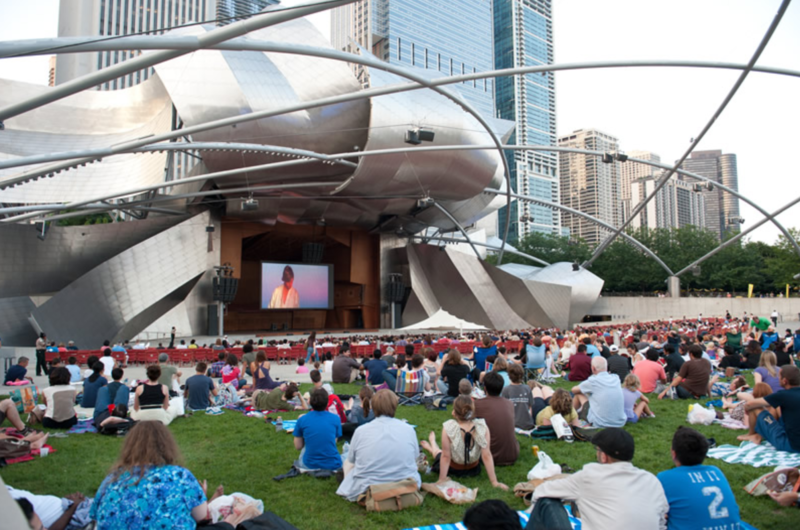 Designed by famous architect Frank Gehry, Jay Pritzker Pavilion is a stunning installation in Chicago’s Millennium Park and features 120-foot stainless steel ribbons and crisscrossing steel pipes that stretch over the Great Lawn. 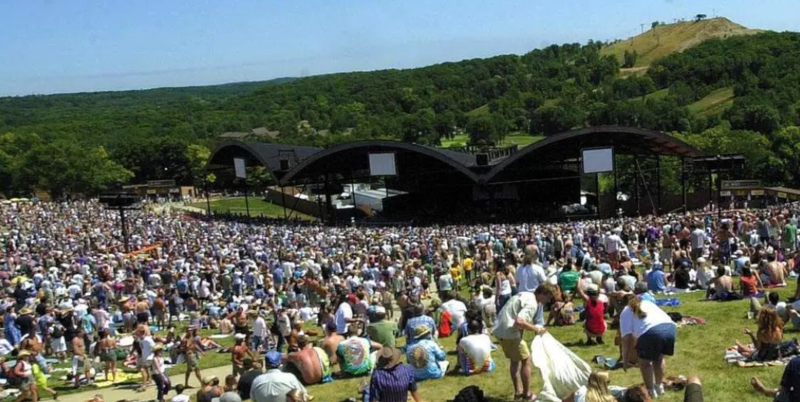 With a mix of fixed seating and lawn space, more than 11,000 can attend one of the park’s concerts, many of which are free. The concert venue has welcomed Jewel, Clint Black, and the Chicago Symphony Orchestra to its stage. Looking to amplify your concert going experience?! 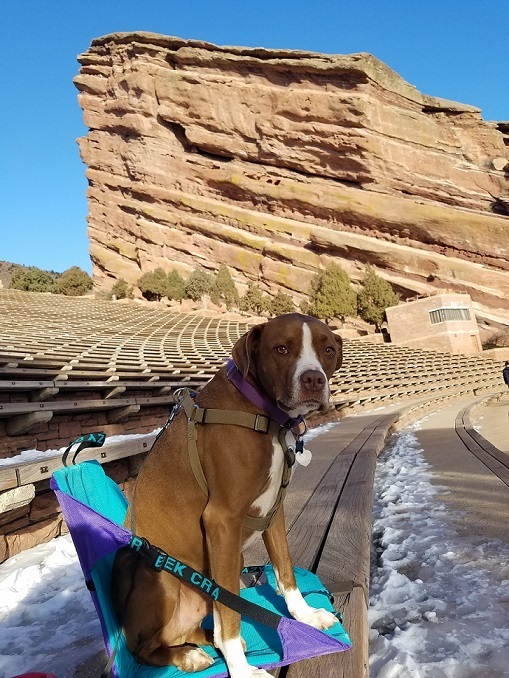 Our Crazy Creek Chairs are the perfect fit for any lawn, amphitheater or pavilion! Light-weight and easy to carry simply carabiner your Crazy Creek Chair to your belt or small backpack and have a comfy seat anywhere! 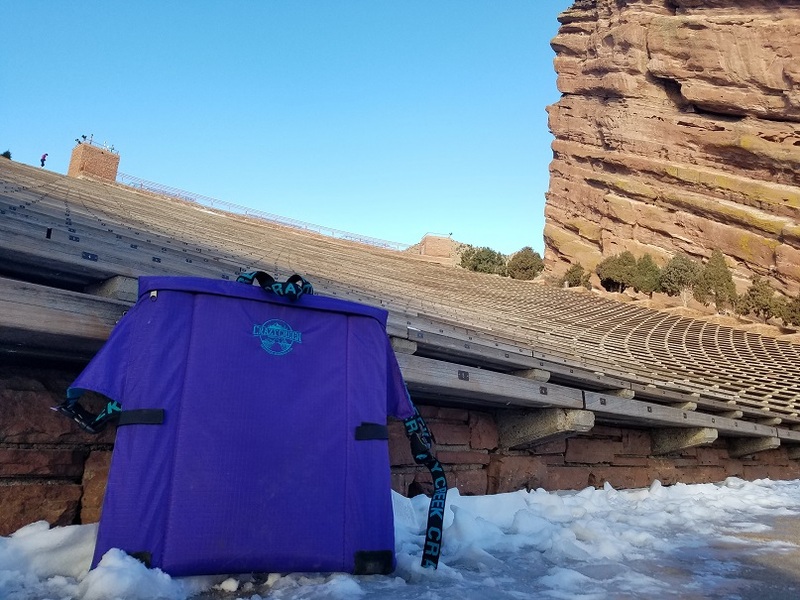 Even if you plan on dancing the whole time a quick and easy seat during intermission and for when your feet need a break will have your friends jealous as ever! Camping chair turned concert chair the options are endless.